"If the physical object is now designed for an environment off-earth where it will remain unchanged for a billion years, the the physical object becomes an attractor for meaning more than it remains an object of form." Mark asked "Could this not also apply to a structure such as Stonehenge and its kind?" So when I say that the pressure of outer space provokes a confrontation with scale that is resolved in the medium of imagination, I see that 'imagination' as the same poetic landscape marked up by neolithic straight lines. The conversation continued (with a few unspeakable tangents). The thing with Stonehenge on Earth is that it is time-laden. Or rather, that the burden of time is implicit in the object, because it resides in the atmosphere, environment, gravity well of the Earth. A henge built off-earth would be in stasis. Now, I'm wrong when I wrote that. There is no stasis, all phenomena are impermanent. But the Off-Earth Henge provokes a confrontation with a piece where the scale of decay requires a profound conceptual shift, a shift away from the human scale. I think this starts to get towards that place Jung suggested, where the psychic and the physical co-exist. Jung didn't label it (at least not in the quote I've got). I've been refering to the Imagination. But I think there's better language, perhaps something like the triangulated texture? It's the media of the next McLuhan era. From my notebook, working on ideas for a book ( saints and ley lines in east anglia?). To say Ley Lines is redundant, the ley implies the line. Where I work, we have a report called the Technology Portfolio Report, always referred to as The TPR report. That's also redundant. A straight line alignment is an intersection of the human psyche and the landscape. the individual human psyche as much as the collective. It is an essentially poetic structure, defined in the vivid imagination of a single walker, footsteps on the earth create morphic resonance. The Ley is a poetic construct. Defined in the vivid imagination of a single walker, understood and communicated through art, shared and experienced by others. Like morphic resonance, the accretion of meaning on the landscape. 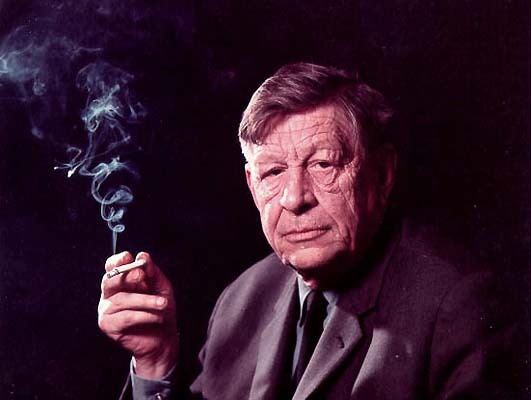 In the poem, The Watershed, Auden positions the reader left and up from the artifacts of the scenery: those objects which hold on to the Quiddity. This sense of remove is important. The sense of remove defines the psychogeographic stance, which is also the poetic stance. Considering the Straight Track -a distant steeple or the mountain cairn - inserts the psyche in the noosphere above the realm. When I look along the sky, from many places in Pittsburgh, I see the water tower in Garfield, I am circuited. I am both places at once. I like the word " circuited" here, but it is an irregular coinage. Reminds me of 'bruited', but only in pronunciation. Bruited is archaic, meaning noises, or a rumor. Medical term, an abnormal sound heard in auscultation. I think this is an intimation of the Overview Effect and is a conspicuous function of the straight track alignments. This awareness is Liminal. Profoundly available to all humans. Even - or particularly - the mundane. I'm throwing some words around here. The relationship between leys, the noosphere, and The Overview effect...well, if I write that , I won't be sitting here drinking Wild Turkey from a coffee cup any more. Train whistles keep me company, at night, suspended in sonic glop, massaged by an awareness of the landscape. Long ago - longer than I can count - Pittsburgh was part of a large, flat plain extending from the Alleghenies to the end of the world. The Garfield Water tower and the section of Forbes avenue running through Squirrell Hill are reminders of this original level, when the Allegheny and Monongahela flowed broadly across the plain. When the glaciers receded, the flow of water increased and the rivers settled in to the deeper and narrower paths followed today. The Point is the confluence of the two contemporary rivers. If you walk down Murray avenue from Forbes, you are walking in to the vestigial river bed of tributaries that were cut off as the rivers sank further in to the bedrock. Grant Street is a rapid ascent, and forms the lip of the orchestra: interesting to note that Grant's Hill was perhaps an ancient burial ground and in the late 19th century was lowered significantly to allow smoother roads from the water to the main section of town. From the stage, two hills on the left (Troy and Observatory) form a wall moving East that is mirrored to the right by Mt. Washington. Together, these diverging lines are the walls of an auditorium ending with the back wall at the rise of Penn Hills several miles along the East Liberty plateau. In an ancient greek theatre, the Parados was an entrance reserved for the chorus to enter the proscenium. Panther Hollow serves as parados for the Pittsburgh auditorium, rising from the Monongahela up in to Oakland and joining with the gullies around Squirrell Hill. The landscape modulates sound in two ways. First, frequency appears to change as an object moves closer or farther. We are all familiar with the sound of an emergency siren approaching at a higher frequency and then appearing to dropp as it passes. This is a result of the Doppler effect. Trains enter Pittsburgh from the East. The sound of the engines and the sound of the whistle swirl through Panther Hollow and emerge in to the auditorium of East Liberty. Machines in the distance are enormous drones: bagpipes, didgeridoo or wandering throatsingers. When we hear them sound at night, we are hearing the original noise modulated by movement through the changing resonant chambers created by the landscape. A few years ago, friends circulated a christmas email that included a recording of a Pittsburgh factory whistle. The operator was manipulating the control to play christmas carols. It must have filled the air for miles, with the same effect that a church bell would have had a thousand years ago before we filled the sonic landscape with other noises. The recording was made by Tony Schwartz for the Smithsonian Folkways collection.